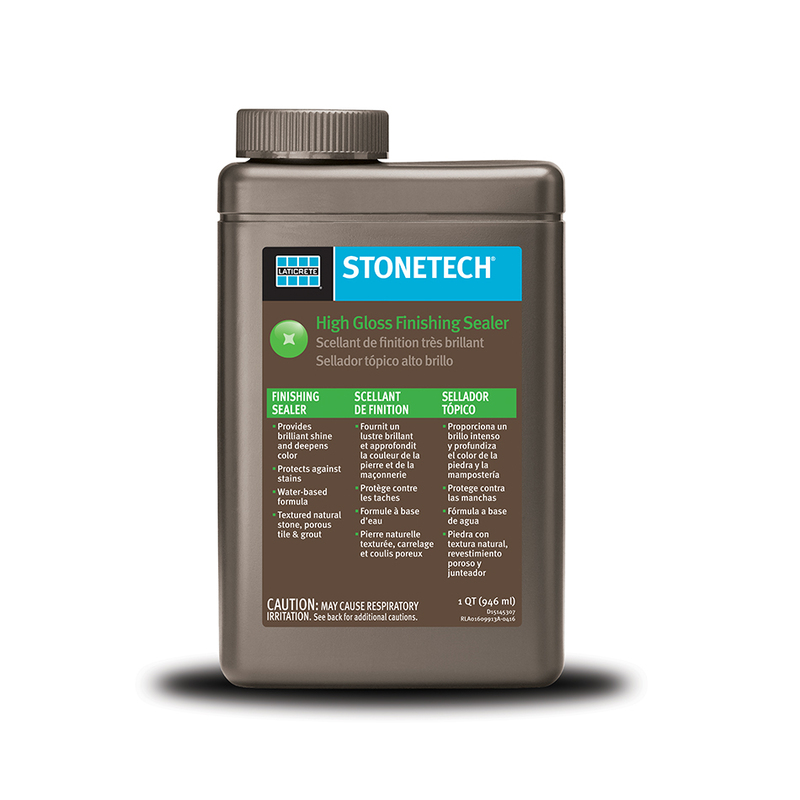 STONETECH® High Gloss Finishing Sealer protects natural stone and transforms the surface to a high shine finish. It is recommended for use on slate and saltillo. Water-based formula good for interior use.